OLED could become the TV technology of choice by 2015, according to LG. Hugo Shin, LG's product marketing communication team leader, told T3 that "we can expect to see OLED panels reaching an affordable price within the next two to three years". 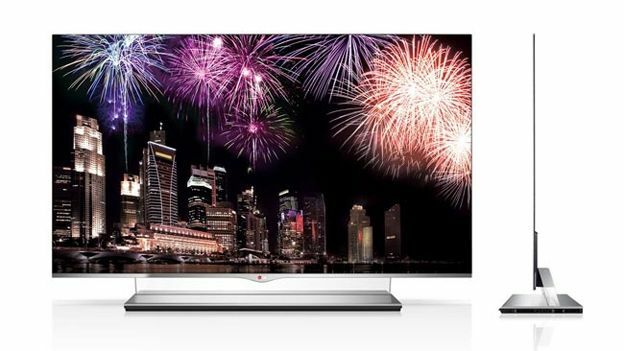 Currently, the lofty price tag of OLED panels put them out of reach for most of us mere mortals - the impressive LG 55EM970V is now available for pre-order in the UK and is due to ship in July, priced at a jaw-dropping £9999.99. However, LG's 55-inch OLED has only sold 200 units in Korea since its launch in February - a relatively slow start for what LG hopes will be the 'next big thing', but a respectable figure given the steep price. LG also told T3 that it's looking to take a quarter of 3D TV sales, a quarter of smart TV sales and a quarter of sales of £500+ TV sales in 2013 and aim to become "the leading electronics brand" by 2015. LG's next focus once 4K and OLED technology have become more established, will be curved OLED panels.